CAMP SMITH TRAINING SITE, N.Y.--Six New York Army National Guard Soldiers, out of a class of 14, completed a demanding 40-hour course in military funeral honors taught at Camp Smith Training Site near Peekskill, N.Y., August 26-31. 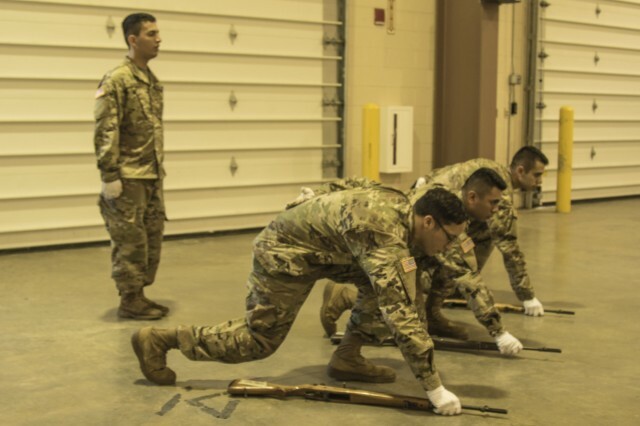 "The State's Level One Military Funeral Honors Academy is a physically demanding course designed to train and test Soldiers' composure, proficiency and fluidity while doing different variations of the nine unique positions of the modified funeral honors," explained Sgt. 1st Class Tomas Couvertier, the noncommissioned officer in charge of the Honor Guard program in New York. 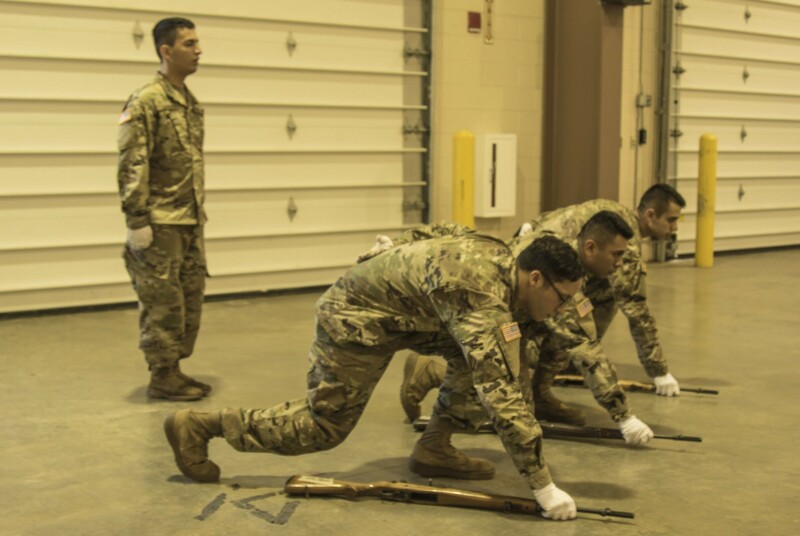 Members of the New York Army National Guard Honor Guard who have become certified trainers and are still serving within the program teach the course. "Performing funeral honors is not usually at the top of the list of what Soldiers have the opportunity to do, practice or train on while in the military. It's certainly not a part of the military that is glamorized," said Staff Sgt. Luis Celeste, a regional coordinator with the program and a heavy vehicle driver with the 1569th Transportation Company. "However, these Soldiers sought out the academy for the opportunity to become a valuable part of the program that provides final military honors to service members who have an honorable or general discharge," Celeste said. The course aims to not only help Soldiers become more knowledgeable about the military but also to make the students become better Soldiers. 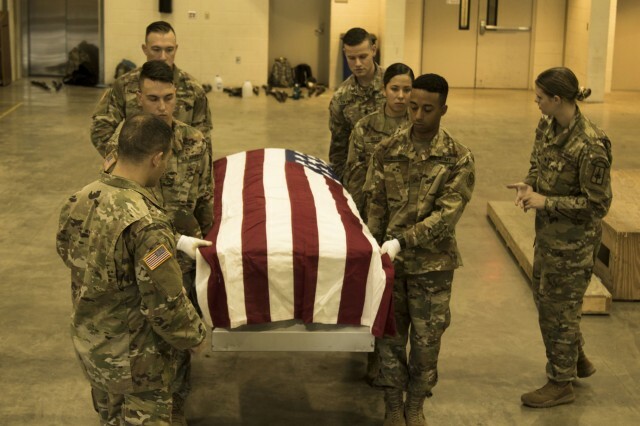 "It's a challenge making sure Soldiers who are coming to this course have been afforded a good deal of training and have some experience taking part in funerals details," Couvertier said. "Making sure the Soldiers are prepped with the right gear and are in the right physical condition is a big concern," said Couvertier, who has been in the program for more than nine years and is a graduate of this course as well. He explained that the Honor Guard program has Soldiers unavailable for military services for several reasons including unit training commitments and civilian endeavors. Soldiers attending the course learn to execute military movements with M14 rifles, which were equipped for the Army in the 1960s. 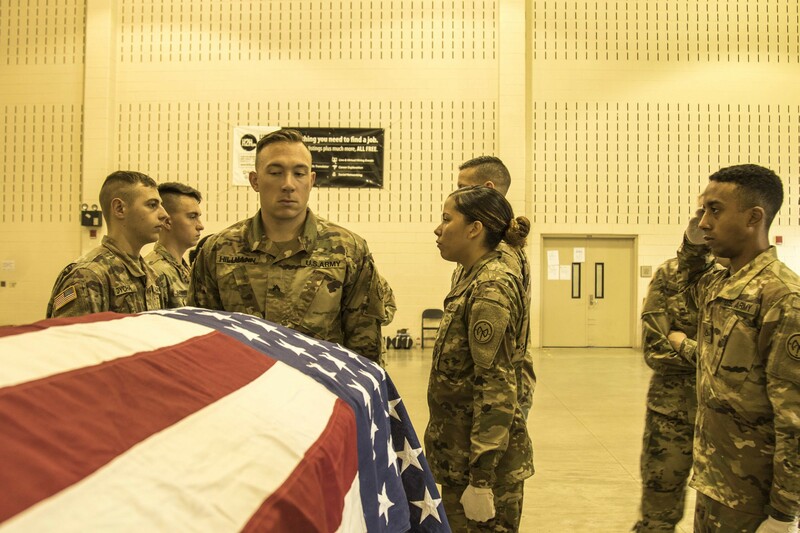 They learn the proper way and sequences to fire a funeral salute carry a casket and move as part of a 7-Solider casket team, as well as learning the sequences, movements while on every position and how to move in-sync. 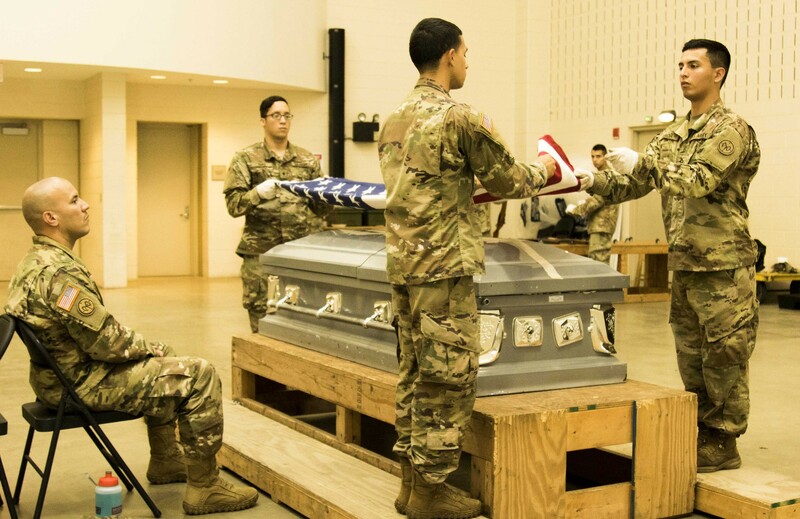 The instructors draw from events and their experiences during actual funerals to role-play and simulate possible distractions and unexpected changes during a funeral at the academy. Soldiers who are able to show proficiency at these positions while sometimes being distracted is one of the requirements to graduate from the course Celeste explained. 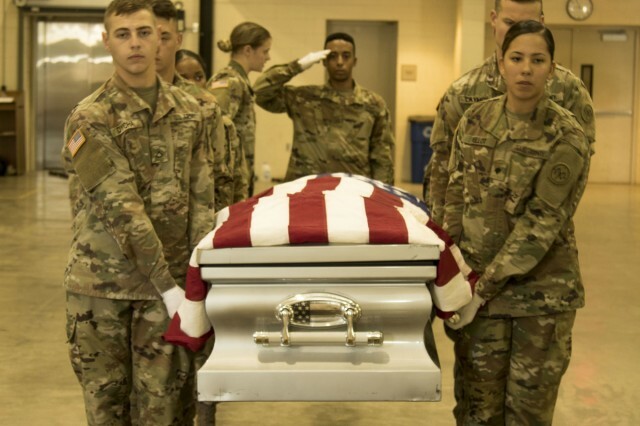 Graduates have to be able to perform all military funeral honors processes except for the full military honors detail, which is reserved for level two military funeral honors graduates and above. 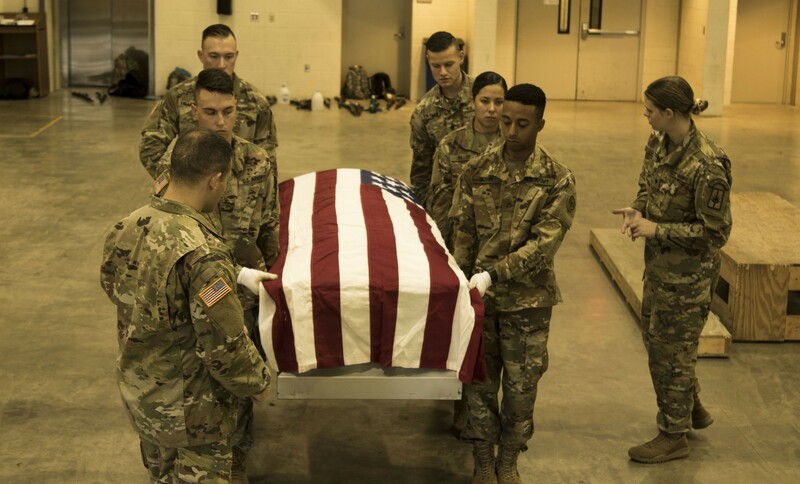 The New York Honor Guard has been performing more than 700 military funerals a month and expects to surpass 9,000 by the year's end. "It's been absolutely amazing to see my progression in the three years since being a trainee to really prefect the level one Solider responsibilities," said Sgt. Josh Sanzo, a trainer and distinguished honor graduate from the Feb. 2018 course. "This is something I cherish." 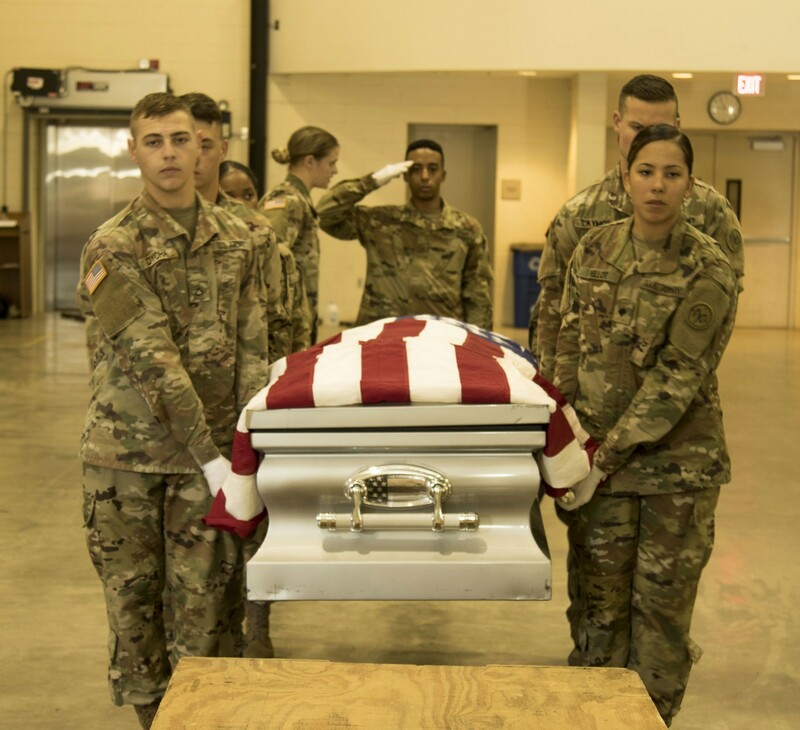 Any former service member who was honorably discharged is entitled to funeral honors consisting of at least two honor Guard members, the playing of Taps, and the presentation of a flag during services. York Army National Guard Soldiers perform these duties across the state for any service member when requested. "I think the program as a whole helps keep and improve on discipline and composure," said Spc. Thalia Pellot, a fire control specialist assigned to Bravo Battery, 1st Battalion, 258th Field Artillery. 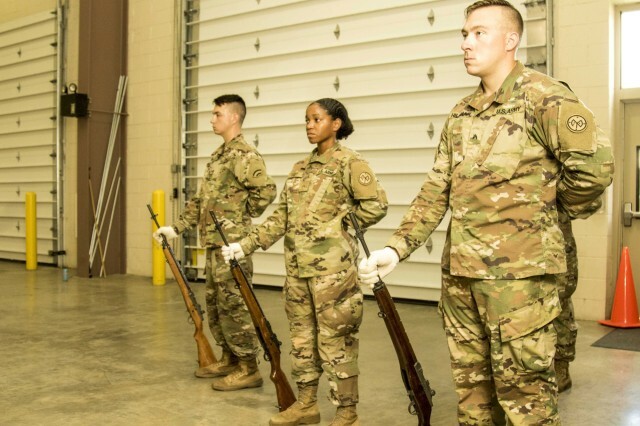 "I feel the course has perfected everything that I have done so far in the Honor Guard." 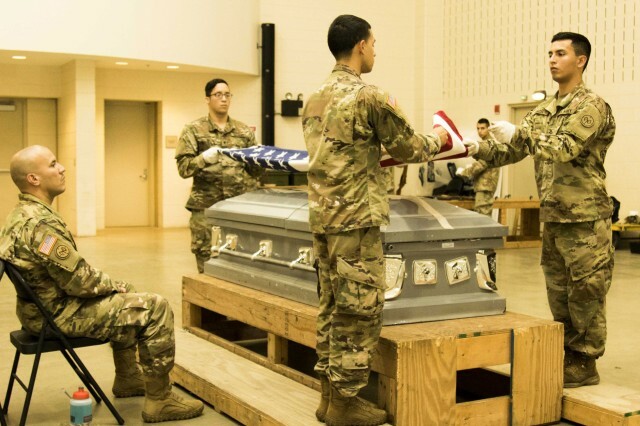 The rigorous standards of the course not only instill the precise movements required for the funeral ceremony, but also reinforce fundamental military lessons as well, she said. 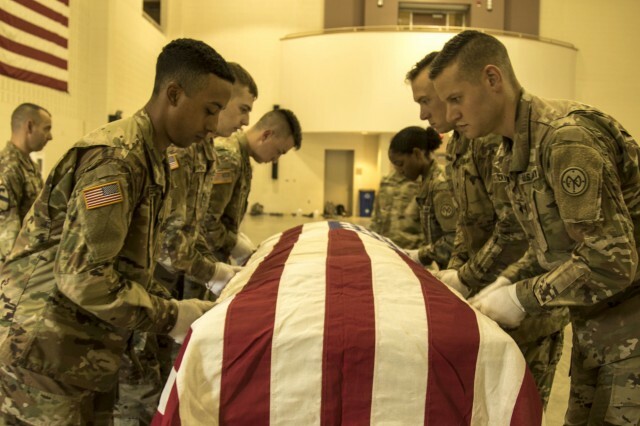 "I expect anyone who that graduates the course to continue with training, improving, and to keep perfecting on their military funeral honors tasks and skills," said Couvertier. "I took over as NCOIC last August; it has been a learning experience we are going to try and shoot for more courses and training next year."